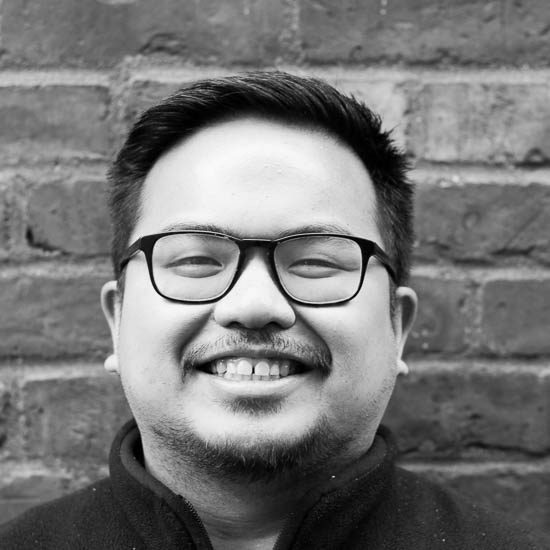 Joseph Sunga – Currently building product at Mighty AI. Previously at Amazon & TeachStreet. How can I help you? Yesterday was Seahawks Sunday here in Seattle, and it started as any one of these would. Woke up at 6am to get the tailgating party started. Checked the weather and checked for directions on my iPhone. Scootered over to Utah St. right behind Macrina Bakery on 1st Avenue since it wasn’t raining. My dad and I setup shop and used my iPhone to notify folks of our location and coordinated by messaging missing items. When the tailgate started, we were able to post photos onto Facebook and Twitter easily and even comment on status for folks to come on by before the game. From 6am to 1pm, using the internet was as smooth as being at home — but when you hit CenturyLink Field, you can kiss that goodbye. It’s funny with a stadium named after “high-speed internet” company like CenturyLink, it exactly lacks what it sells. It was the same feeling when it was called Qwest Field. This isn’t anything new. As a season ticket holder for the last several years, I’ve always found myself doing the patented “lift your hand up high with your phone to get reception” move with no avail. I know it may be my AT&T coverage, but fellow season ticket holders with Verizon, Sprint, and T-Mobile have had the same problem. This is an issue. CenturyLink Field hosts over 67,000+ fans each Seattle Seahawk game and even with the Seattle Sounders FC, they’re able to hold 33,000+ fans each game. That’s selling out the stadium each game, and the majority of those rabid fans use smartphones — so why are they making it hard for fans to talk about their product on the field. They’re not leveraging them to spread the word about the players, the teams, the game, and more importantly the experience. The teams are missing out on people posting their thoughts, photos, and location on Twitter, Facebook and Instagram. What better idea would it be to provide the fans who are struggling to send out tweets, statuses, and photos with the ability to do so? For this NFL season, five stadiums have already been outfitted as a pilot for in-stadium wifi: MetLife Stadium (Jets/Giants), Gillette Stadium (Patriots), Bank of America (Panthers), Lucas Oil Stadium (Colts), and the Superdome (Saints). This isn’t a new idea with teams from both the MLB and NFL exploring wifi opportunities. I’m just surprised for a tech hub like Seattle, why don’t we have wifi in CenturyLink Field? As a huge fan, the product is the experience. I’d rather share my experiences in the moment rather than waiting after the game or when I’m home to do so and I believe the majority of the 67,000+ fans feel the same way. I can only imagine what kids are learning nowadays. Ten years later, I’ve continued to stay within the HTML and CSS borders of coding. This year, I’ll be breaking free from those borders. The goal is to learn the basics and harness some coding skills which will come in super handy. As the “business” guy, I think it’s especially important to learn since understanding what goes into coding could be your leg up whether you’re the one coding or managing the product. I want to be able to build product and having a skill set to build prototypes without waiting for this “special” developer to do it is key for me. So what are you waiting for? Go sign up at codeyear or codeacademy or tryruby or Khan Academy. I even teach ruby lessons as well if you want one on one help and instruction. Coding is just like any skill set. Let’s just take sales, for instance. A lot of folks don’t have any selling experience, but they end up learning how to do it because in the end — it’s a good to have. I feel the same with coding. You may not end up being the best coder in the world, but having the extra bit of knowledge will go a long way in whatever job you have and it may even help you land one. You’ll eventually be learning this stuff sometime in the future, why not just start now. Don’t wait 10 years like me. Check out my first application from Codecademy, FizzBuzz. It’s crude, but it’s a start. // if the number is divisible by 3, write "Fizz"
// if the number is also divisible by 5, write "FizzBuzz"
Have you ever had this happen to you? You’re listening to your music on your iPhone on the bus or train, and it cycles to a song you know all the words to so you start singing along…aloud. Sometimes those songs aren’t the best to share, and you get a bit embarrassed afterwards. I know I’ve had my moments in the past, but nowadays I really don’t care. If it’s good enough to sing, it has to be somehow. You can find me doing this a ton when I drive. As much as I love to let everyone know what I’m listening to, I kind of only let them know when they’re good. With Spotify, there isn’t such a filter. What ever I listen to, it gets posted on Facebook. This is happening a lot with articles also due to Facebook’s Open Graph. You can see whatever anyone is viewing on The Washington Post or The Guardian. Note, I said “view” and not “read.” If they just view the article for two seconds and close, it still shows their network that they “read” it and give an unconcious recommendation. This is similar to what Spotify is doing with music. I skip a lot of the music I don’t like, but low and behold — Facebook tells everyone I listened to it. I really do want to share what I’m listening to with my friends and family, but I only want to share the music I feel is worth sharing. Sometimes on Spotify, I listen to lists just to find music, or just tune out. In this case, sometimes songs come up with K$sha or Justin Bieber and that’s shared with my network — and to me that doesn’t make any sense. I’m not a fan of either, so I wouldn’t want to share it. It would be nice to have the ability to set a hotkey to post to Facebook when I hear a song I’d like to share on Spotify. This will allow me to listen to all the music I want and with a push of some keys, I can feature the songs I really like and share it accordingly with my network. Is that so much to ask? You may not be a Picasso or Mozart but you don’t have to be. Just create to create. Create to remind yourself you’re still alive. Make stuff to inspire others to make something too. While I was in high school, I was getting tired of all my friends gleaming over these boy bands like the Backstreet Boys and NSync. It was annoying. They would play their music loud in their cars, sing them in the hallways, and even expect dudes like me to take heed in what these manufactured bands were singing about. What did I naturally do? I took it to the pencil and paper and decided to create a little comic book parodying the whole boy band craze called Whackstreet Boys. Not the most creative title in the world, but it got the reaction I wanted. A blank page represents the excitement of creating. The page is just calling for you to make a mark and start anew. There’s just so many possibilities here and you’re in control. You can do anything and no one can stop you. If anything, you can always start with a new blank page. When I draw, anything is possible. You literally draw from your experiences and the imagination hopefully you haven’t lost while you were a kid. From the graffiti you see on brick walls, cartoon characters you see in the Sunday funnies to artists you meet at local Sketchbombs — you’re creating something inspired but unique to you. There’s always an end point when I draw, whether it’s what you expected or something totally different — you end with a finished product. Either I say, “damn, that’s not what I wanted” and scrap it or “sweet — that’s going up somewhere!”. There’s definitely a lot of the former, but when a drawing clicks — it’s a great feeling. Sometimes it takes a ton of “damns” before you get to a “sweet”. I continue to draw today mostly on my iPad — I love Zen Brush. I’m not the best artist by any means, but like I mentioned a week ago — “it soothes my soul.” Drawing keeps my brain fresh and taps into the creativity I want to keep from my childhood. Maybe that’s why I love working and building products at startups so much. There’s a sense of taking an idea, building it, and seeing it through while getting feedback. It’s a fun continuous process. I know there’s a ton of artists at heart out there. It would be great to hear from you on why you draw. Feel free to just tweet me @joesunga with a #whyidraw hashtag to a tweet explaining why you draw or leave a comment below. I’d love to start curating everyone’s thoughts.